Will the UK make the list soon? Sharp has announced that its autostereoscopic 3D screen will be used in phones that will be arriving not only in Japan, but also the US, China and India. Although there is no mention of the UK, as yet, the decision to push a 3D phone outside of its home territory would appear to raise the chances of the technology making it to Britain. Sharp is behind the screen on Nintendo's eagerly awaited 3DS handheld, and the glasses-free 3D technology is certainly impressive. 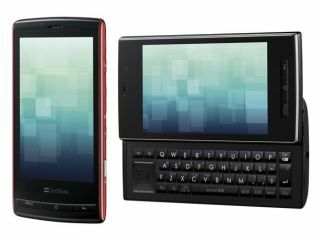 The first phones to feature the screen will, as TechRadar reported, be the Galapagos 003SH and 005SH which are likely to be limited to the Japanese market. But the company has now indicated that it will target not only the US, but also China and India – three huge mobile phone markets. Sharp appears to making a big push back into the global markets – and the mobile phone market is certainly potentially lucrative for the company.